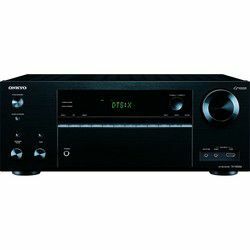 Thinking about purchasing one of the Onkyo home theater models that were released in 2016 compare their performance, connectivity options and functionality. Is Onkyo TX-NR656 vs TX-NR555 more solid and powerful? Are the few minor improvements worth extra money? The common complains of the TX-NR555 model’s users are due to imperfection of the Wi-Fi option. Additionally, some services, for example, Pandora, Dolby Atmos or Chromecast often hang when starting. The HDMI signal can’t be synced on a cable and the firmware requires updating. Its sleep timer can be found somewhere within the menu, but not too fast or easily. Unfortunately, the TX-NR656 model is also slow, coming with the same Android app and Bluetooth issues. But its menu is more complete and user-friendly. Meanwhile, the AccuEQ auto calibration of both models is great, including an equalizer and a quick menu, getting adjusted to the room acoustic. The TX-NR555 model comes with 6 HDMI inputs, but only 3 of them support HDCP 2.2. Among its basic drawbacks is absence of the Bluetooth output. Only the Bluetooth input is available. Onkyo TX-NR656 vs TX-NR555 is better in terms of connectivity, as it has 8 HDMI inputs and 2 outputs. The rear location of the USB connection of both home theaters is not a great inconvenience for most customers, but their phono inputs are very beneficial for the people that prefer vinyl records playing. Additionally, the remote that is the same for both models is intuitive, simplified. The buttons are large and not too numerous. Onkyo TX-NR555 vs TX-NR656 is a bit less powerful versus its newer counterpart. As to the sound, it’s about the same. Their low-frequency performance is visceral, notable for deep bass (if you connect the performant, bi-amp speakers). However, the older model’s sound is a bit less detailed at high volumes versus the sound that Onkyo TX-NR656 amp produces. The low-frequency response is very good and powerful. The TX-NR555 model lacks some HDMI inputs, being a bit less powerful and producing not very detailed sound at high frequencies and high volumes. Onkyo TX-NR656 home theater’s control app was upgraded and it sounds pretty good for movies, showing good dynamics, producing crisp and accurate dialogues. The 7.2 amplifier is feature-rich and user-friendly. Its menu is intuitive and smooth, but not complete, requiring upgrading, as some services hang when starting. So is the control app that is quite good, but not perfect. The ports are numerous, but only 3 of them are HDCP 2.2 compatible. USB connection is located on the rear side that is not too handy. However, the beneficial phono input is available. Additionally, the device produces accurate, powerful sound, that is not too detailed at high frequencies. The home theater is up-to-date, easy to set up and calibrate, coming with a quick menu and simplified remote. The app control are services are still a bit slow, sometimes connecting on the second or the third try. It has the generous number of ports that are commonly sufficient for the users. A phono input is available, allowing a turntable connection. The rear USB connection is not an issue for most people. Additionally, the amplifier produces great, crisp and dynamic sound that stands out by mellow bass and clear dialogue reproduction.